I’m so excited to announce that the Tiger’s Dream audiobook is almost here! The official release date is November 29, 2018. To celebrate, I’ve coordinated with Tantor to do a Thanksgiving giveaway. There’s also a CD cover reveal, an interview with the narrator, Neil Shah, and a sneak peek listen in store. Are you ready? Tiger’s Dream is a particularly important book for me. I wasn’t able to write it for a long time and when I did, it was a passion project. 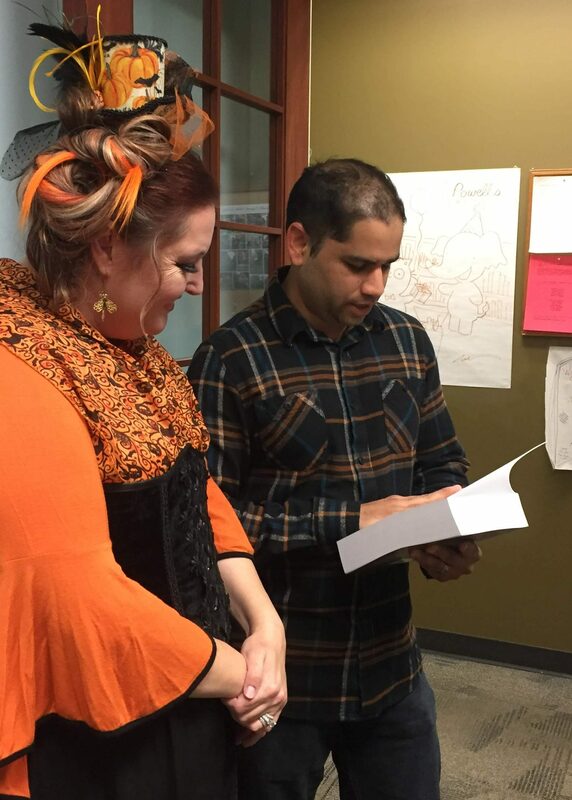 Writing in Kishan’s voice wasn’t something I was totally confident I could do and yet, when I began, I felt like he was sitting right next to me telling his story. The words just flowed out. This should be obvious to anyone who hefts the book. When it came time to select a narrator, a woman was suggested at first so that the voice would match the other books in the series. It didn’t feel right to me and I asked for a man’s voice. Preferably, I wanted him to be Indian. They recruited the talented Neil Shah and once I heard him voicing a tiger on his website sample, I knew he was the right person for the job. Then, how cool was it to find out that Neil is an Oregonian like myself? I got to meet him at the Powell’s book signing for The Lantern’s Ember, and he read a bit of Tiger’s Dream for me and my family live. It gave me chills. I can’t wait for you guys to hear this one. It’s like Kishan has come to life. As a narrator, he has recorded numerous fiction and non-fiction audiobooks, including I Am an Executioner: Love Stories by Rajesh Parameswaran (Audie nomination), The Hundred-Foot Journey by Richard C. Morais (Soundcommentary.com Editor’s pick 2013), and Stringer: A Reporter’s Journey In the Congo by Anjan Sundaram (Audiofile Earphones Award). He is often called upon to record books of Indian & Middle Eastern themes and characters. Although, since he was born and raised in the United States, he also records titles with American themes and characters, from coming-of-age stories to apocalyptic thrillers. As an actor, he holds a Master of Fine Arts from the acclaimed University of San Diego/Old Globe Actor Training Program. He has performed many classical and contemporary plays spanning Off-Broadway (Second Stage, Jean Cocteau Repertory) and regional stages (Oregon Shakespeare Festival, Burning Coal, Old Globe). TV & Film: he has appeared on Law & Order and in numerous independent films. Colleen: How many books have you narrated? Neil: A little over a hundred. I think I’m on my 105th or so now. Colleen: How did you get into narrating audiobooks? Neil: I’m a classically trained actor and performed a lot of theater in NY and regionally. I was asked to audition for an audiobook and slowly started getting more and more. I lived in LA for a bit and worked with a lot of great folks when I was there. Finally, my wife and decided to move to Oregon (her home state) and I built a home booth. That’s when things really took off. Actually, on the drive from LA to Portland during the move, I was offered my first book from Tantor. Colleen: What is your dream role to play as an actor? Neil: Good question. There are so many. One of the reasons I love audiobooks – I get to play tons of characters. I’ll go back to my first love of Shakespeare – I’d love to play Hotspur in Henry IV, Part 1. Also, playing King Lear would be amazing…I have a few years to go before that one! One of my dream roles was Othello, which I got to play once. Colleen: How do you decide on the specific voice and tone to do for each character? Neil: Great question! I cast the characters in my mind. I’m very open-minded with the process and allow characters to come to mind when I am prepping the book before getting in the booth. Really, just like we all do when reading a story. Sometimes a character looks like an actor or celebrity (but with a different voice) or it could be someone I know, like a family member, or some interesting looking person I noticed at the grocery store, or my mailman or something like that. It’s really fun to see just whose going to pop into my mind! Once I have a picture of the character, I find the voice. Oftentimes the voice just naturally comes along. After I feel confident about the voice, I work on the tone to make sure they are as distinct and unique as possible from the other voices in the story. Colleen: Do you and Kishan have anything in common? Neil: Yes, we’re both tigers! Kidding of course! I wish. Aside from us being both of Indian descent, I would say we both really feel things. I found myself really being able to identify with him when he was lovesick or when his temper was tested. LOL! His passion made this story come alive for me and hopefully for listeners. 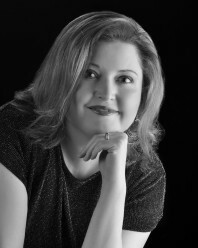 Colleen: What qualities make a great narrator? Do you have any tips for aspiring voice actors? Neil: Many of the qualities that make a good actor for stage or screen. Three things I make sure to practice are making sure the story is always the most important thing, letting my imagination be free, and work ethic. I know actors who are super talented, but they are not willing to put in the work. Just like anything, it takes discipline and work to bring a story to life. For narration, it’s a different kind of work. My imagination is always working from the moment I start prepping through the last word I record, but it’s preparing for the endurance it takes to tell the story from beginning to end that is important too. It’s different recording than most realize. It’s not as simple as just reading the book out loud. There is a different nature to it. It takes a lot of sustained and intense concentration while also trying to be relaxed so your imagination can flourish. As a day goes on, it becomes more of a challenge as your mind and voice starts getting tired. Also, throughout it all, it’s important to make the story the most important thing. It’s not about a narrator’s performance. It’s about the story. We should be forgotten about — the listener should be sucked into the story. If a narrator keeps all of these things in mind, the story will be served and fun to tell. Colleen: Is there a scene in Tiger’s Dream that was your favorite to narrate? Neil: There were so many, but I really enjoyed the scenes when Kishan and Anamika were bickering or teasing one another. It was reminiscent of a romantic comedy. So much was going on underneath the surface that they either resisted or didn’t even realize. Can’t you both see you’re wild about each other!!? Colleen: Which character in Tiger’s Dream was the hardest to voice? 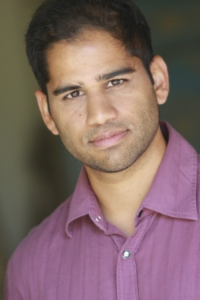 Neil: Kishan, because he was also the narrator. It took a lot of energy to voice him because I wanted the voice to sound powerful, and even growly at times, but also with many other nuances that showed his human side. Some days, I would get to the end of the day, and my voice would be so ragged, I had to stop before I wanted to. Also, it took a little more concentration to make sure I was consistent. I don’t have an Indian accent in real life, but I had to make sure it didn’t slip away. Colleen: This was a long book! What did a typical day of recording look like? Neil: It was. I think it was the longest book I have recorded! A typical day would be getting in the booth in the morning, after my voice woke up, and work for a bit. Then I’d take a break to eat and get back in the booth for a bit more. After a few hours, lunch. Then back at it until early evening. By that time, my voice and brain would be tired. Then I would do it all over again the next day. After a few days of that, I’d take a break and take care of other things in my life. Sometimes, I’ll just get in the booth in the evening to do a chapter or two. Recording a book, even shorter ones, is like going on a long hike. Don’t worry about how far you’ve got to go or how far you’ve gone. Just one step at a time and enjoy the journey. Colleen: What other projects do you have coming up? I love those answers! Now, are you ready to listen? This is from one of my favorite scenes in the book. Kishan travels through time in an effort to save Kelsey, the girl he still loves, from a horrible death, but he gets an unexpected surprise. On a snowy mountain in Oregon Kishan waits for her to appear only to realize she’s been sitting beside him all along. Tantor decided to go with a different cover for the audiobook. I really like seeing new interpretations of my characters. What do you think? As for me, I’d love to have Anamika’s hair. Tantor is going to give five lucky winners a copy of the digital audiobook before it’s release! If you want a chance to win yourself a copy early, all you have to do is enter this rafflecopter. Good luck! This holiday I’m thankful to all my readers and listeners who make it possible for me to continue writing books. Have a great holiday season. I hope you are all safe and get to spend time with the people you love. If you can’t wait and are ready to preorder your copy today, you can get the audiobook as an MP3-CD, an Audio CD, or you can wait until November 29th to order the digital version. 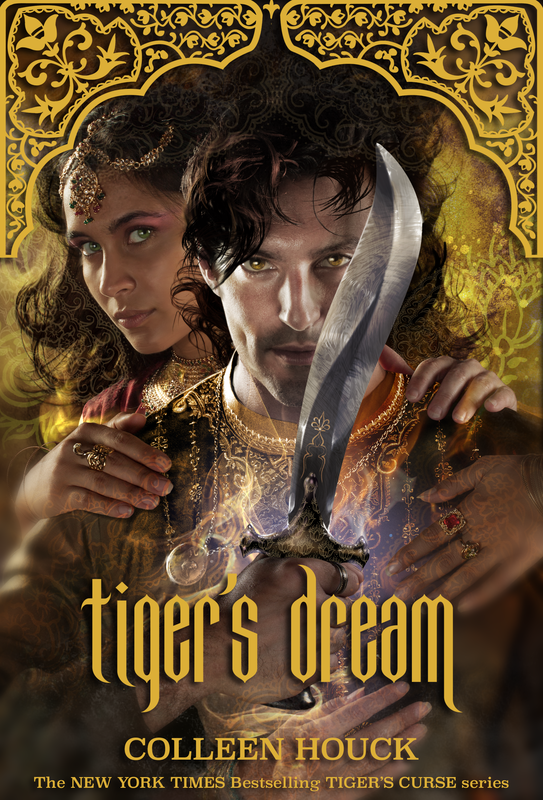 18 Responses to The Tiger’s Dream Audiobook! OMG. I am literally at loss for words. wow. That’s a perfect Narrator for Kishan. I am so excited about the digital/audiobook release!!!! Can’t wait to purchase it! Also, I’m currently reading The Lantern’s Ember. I started 4 hours ago. I can’t stop. lol. Definitely, you’re my favorite author so far this year. Your books are so addicting. I’ve picked it up on kindle, but, now I’m thinking I’d rather listen to and review the audio! Love audios! AND love this series! This sounds amazing! I just finished The Lanters Ember……Loved it!! Thank you! I’m so excited for the audiobook! I had a question though I was wondering if there was any paper prints of the book tigers dream? Yes! You can buy a print copy now through amazon. I bought the book once I knew it was released, the cover is gorgeous and the book is huge… I’ve waited for years for this book, I would love to win the audiobook and I wanted to know what’s happening to the movie? Is it coming in 2019? The movie is still under option but nothing new to report since we announced the director. I finished the series today ending off with Tiger’s Dream and I am an emotional wreak. I love your book Colleen. I started reading them in grade 8 and now it almost been 2 years. I am embarrassed to say that I shed a few too many tear on the 5th and 6th books. Tiger’s Dream has a ..well..beautifully tragic ending. This book series is amazing. Thank you. I have to get myself the audiobook!! Looking forward to the chance so that I can listen to it!!! Tiger’s Curse has become a permanent encraving on my soul. By the end of Curse, I was already Team Kishan through and through. The ending of Destiny left my heart bleeding. Dream brought me back to life. Now there’s an audio book. How many more reasons do you need to live? first of all I’ve got to say I really adore the Tiger Saga. Reading the four books was just like an adventure and I proudly can say that these are definitely my favorite book series. I know this might not belong quite to the topic, well somehow it kinda does… anyways, do you know when the German version of Tiger’s Dream will be released? Because I really love the Tiger Saga soooo badly and even more Kishan. And if my English vocabulary were not so tiny that I had to google every third word, I would buy the origin version immediately. But sadly it is not like that so I have to read in my mother tongue. So please tell me I don’t have to wait for so long. Hi Rahel, So happy you’ve enjoyed the series. I wish I knew German! I’ve asked my agent to check on that. Heyne was supposed to have published Tiger’s Promise in 2016 but I don’t see it online. Did you get that one? If you did, can you send me a link? The best thing to do is reach out to the publisher and let them know you’re interested. Sometimes that’s all it takes. They need to hear from the readers. If they know you’re interested, they might at least be willing to offer an ebook translation.